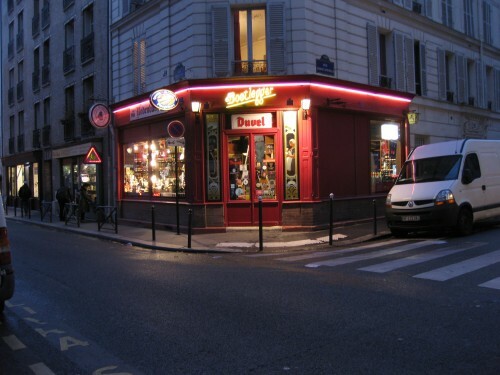 Bright and welcoming, this little shop near the Canal Saint Martin carries a large selection of French beers and a nicely curated selection of imports. There is even a seasonal house beer, brewed in collaboration with Brew Unique. 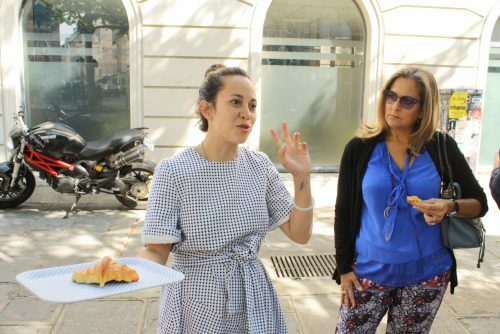 Nico, the rock-drummer-turned-beer-aficionado owner, serves up sandwiches and other snacks for those who want to turn their beer run into lunch or an apéro. Since opening their brewery in early 2014, Thomas Deck and Mike Donohue have been on a roll. 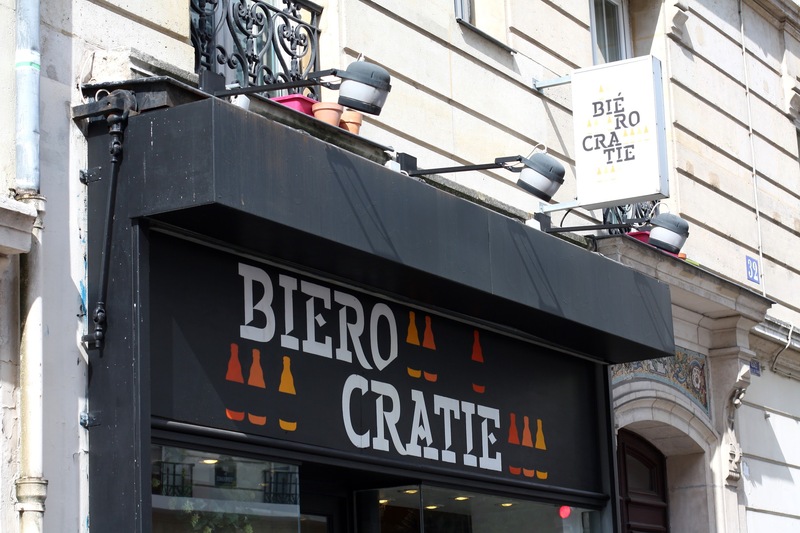 With five flagship beers and one rotating seasonal brew, they make some of Paris’ best beer and sell it to many quality restaurants and bars in the city. A visit to the microbrewery in up-and-coming Montreuil makes a pleasant Saturday outing (the brewery is only open to the public on Saturdays), and Metro access is easy. Once there, you can meet the bearded brewers, sample their range of beers, buy bottles, or get a growler fill. The service is friendly and enthusiastic at this small, erratically-stocked shop. 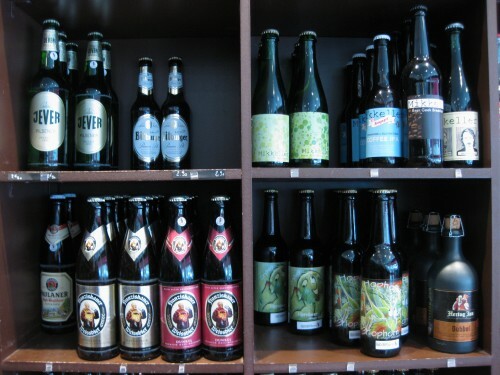 Look for the newest arrivals on the shelf right in front where lesser-known French beers hobnob with Belgian stalwarts and imports from further afield. Prices are very reasonable, especially for local and large-format beers. 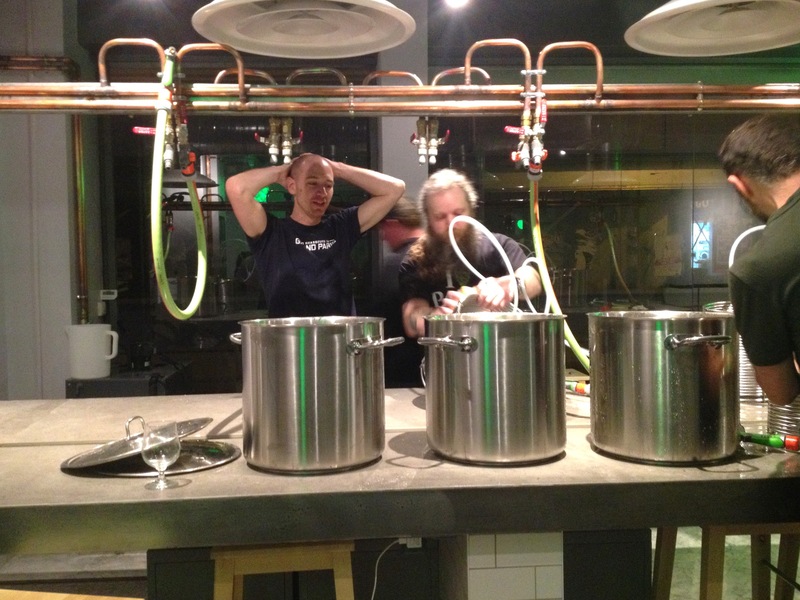 Spearheaded by Simon Thillou of La Cave à Bulles and directed by Mike Gilmore, formerly of Frog Pubs, Brew Unique is Paris’ first brew-it-yourself brewery. Newbies can choose from a provided set of beer recipes, and more experienced homebrewers can get pointers on their own creations. Either way, Gilmore guides guests through a four hour brewing session, followed by bottling about a month later. All the necessary equipment and ingredients are there, and those lucky enough to have space to brew at home can even stock up as the place moonlights as a homebrew supply shop. 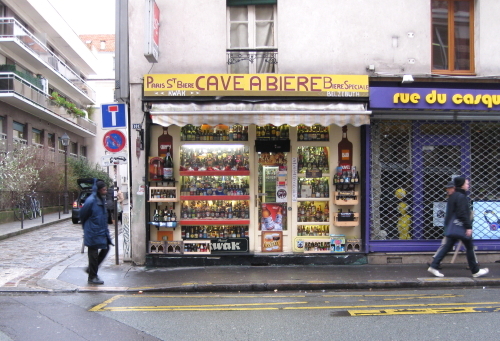 In the charming Butte-aux-Cailles neighborhood, Jaclyn and Pierre Gidel’s small but well-organized shop houses an impressive library of local and international beers; notable brews include Siren from England, the Alsatian Bendorf, and American beer Cigar City. 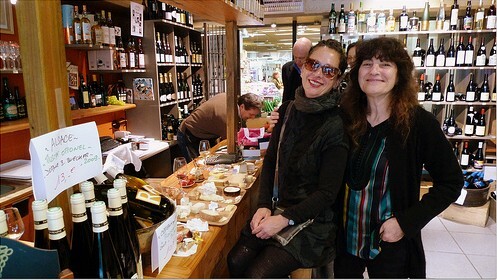 The couple are very involved in the Paris craft beer scene, co-hosting the weekly Hoppy Hour events at Les Trois 8, organizing beer and cheese tasting nights with Fromagerie Quatrehomme, renting out kegs, and even posting recipes for cooking with beer on the shop’s website. If the trek down to the 13th makes you thirsty, you can pop over to nearby café Le Barrault-Vins and enjoy your beers on the terrace there, for a €1 corkage fee. 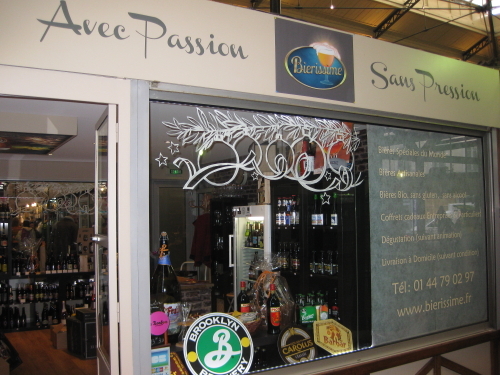 Situated in the increasingly lively Marché Saint Quentin, this shop is home to a wide variety of French and international craft beers, with particularly good selections from Italian and English breweries. Prices are very fair, and service is as chatty (or not) as you want them to be. 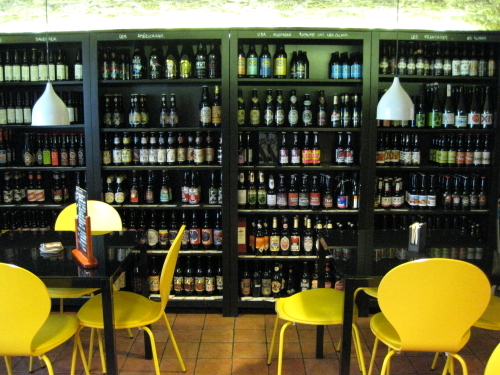 A true beer geek's paradise, Cécile Delorme's shop near the tourist- and student-friendly rue Mouffetard stocks hundreds of different beers from traditional Belgian and German to cult favorite Danish and Norwegian. 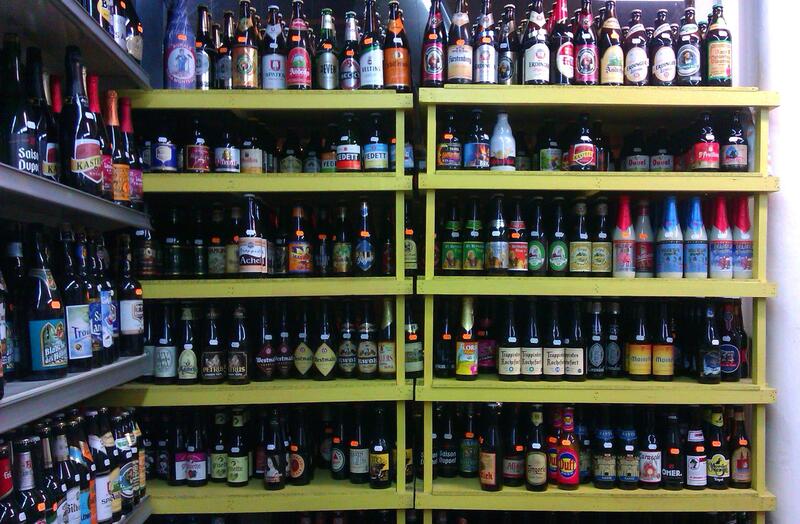 This small but well-stocked shop boasts a good selection of French, Belgian, German, British, and American beers. Service is friendly and knowledgeable. They offer bottle return service (deposit refund) on most German bottles and some Belgians as well. And for your next party, they rent out kegs, too. Hipster beer geekiness pervades this shop just off the Place de la Bastille, with a record player spinning the blues, a faux phone box housing the English beers, and a periodic table of beer styles on the wall. 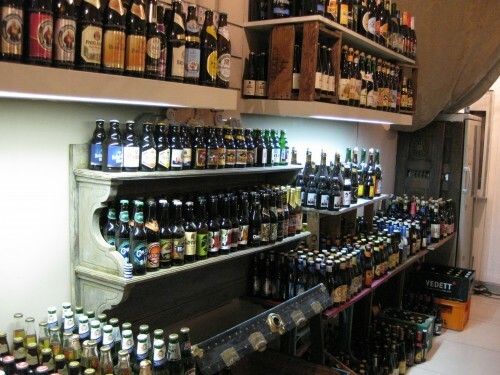 Prices are very fair, and Guillaume, the friendly young owner is rightly proud of his ever-growing collection which boasts 500 beers from all over the world. 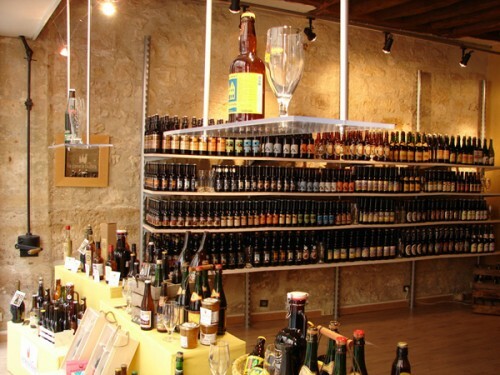 An alimentation génerale turned beer shrine, this tiny shop still carries convenience food alongside its floor-to-ceiling shelves of good beer. 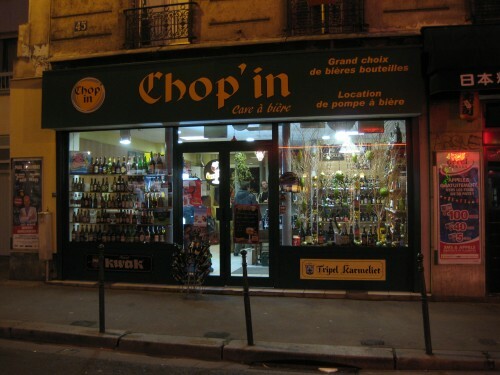 A refrigerated case promises cold beer to go, and the shop is open until very late on weeknights, just in case. 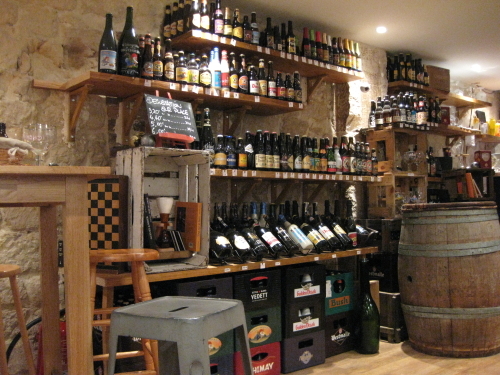 With a host of international beers, a speedy bottle-chilling machine, and a row of chess tables at patrons' disposal, Guillaume Lucas' shop is a welcome addition to the rue des Martyrs. A good place to pick up something on the way to a party or picnic, but you can also pass a few hours here, playing chess and sipping quality beer. 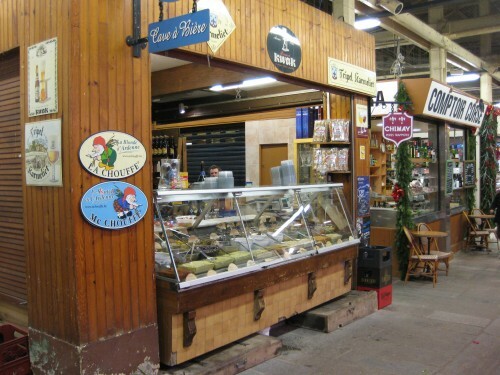 Located just inside the covered market at Place d'Aligre, this little shop is easy to miss, nearly hidden behind its own refrigerated snack case. 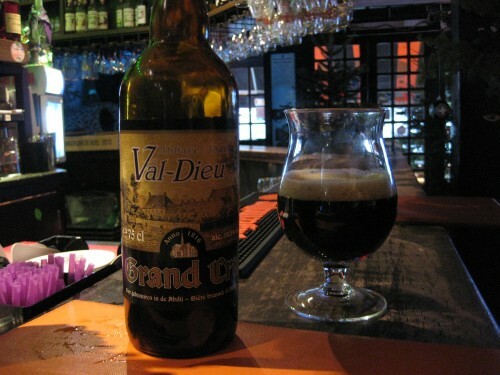 But it's a gem, with a solid assortment of Belgian, German, and French beers at very low prices. 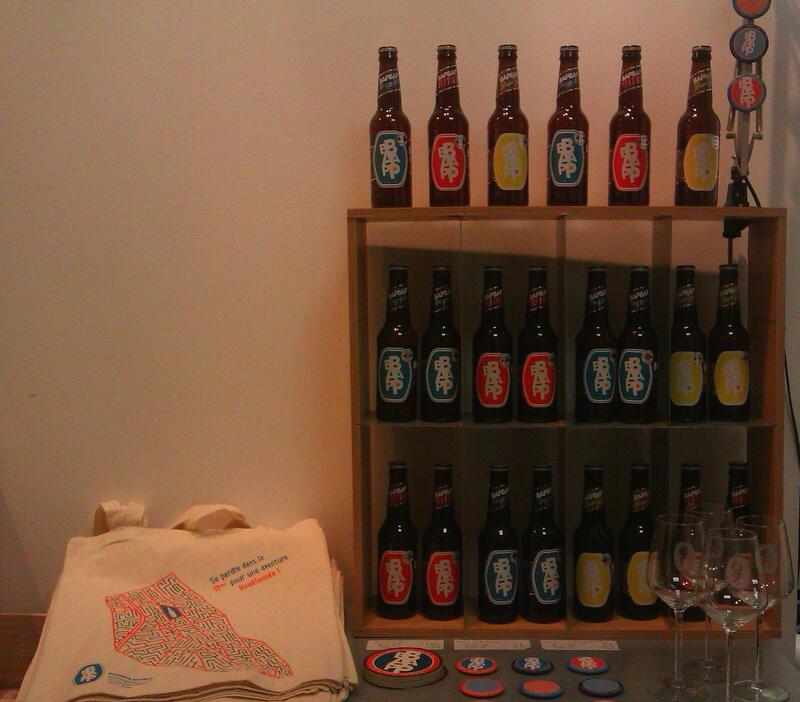 Simon Thillou's shop is the place to go for craft beer made in France. He works with brewers all over the country to source his remarkable and impeccably curated collection of small-batch French beers. 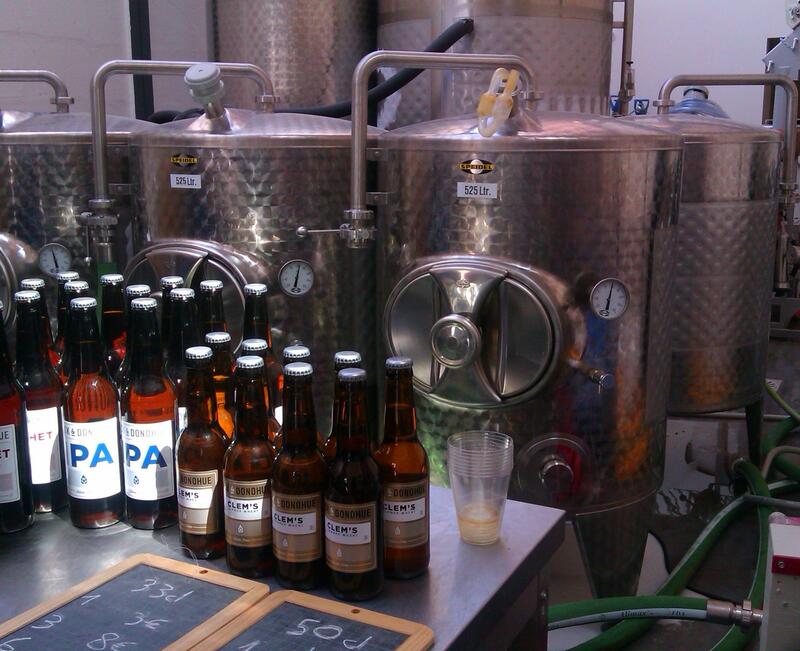 Opened in late 2012, this is the first brewery in Paris proper in many decades. Brewed in small batches with flavors inspired by the neighborhood's African markets and offering brewery visits, free tastings, and bottles to go. Imports rule at this Temple of Beer, where you'll find a wide range of beers from Belgium as well as lesser-represented countries like Germany, the Czech Republic, the United Kingdom, and the United States. 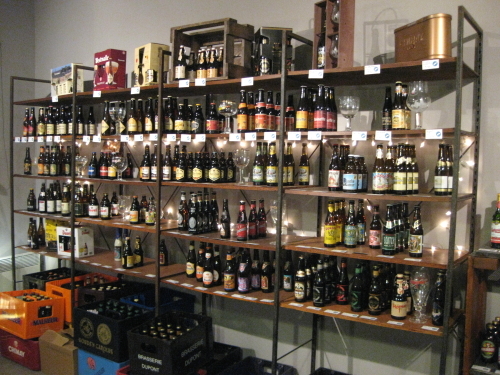 This small chain of shops features selections from breweries all over the world. 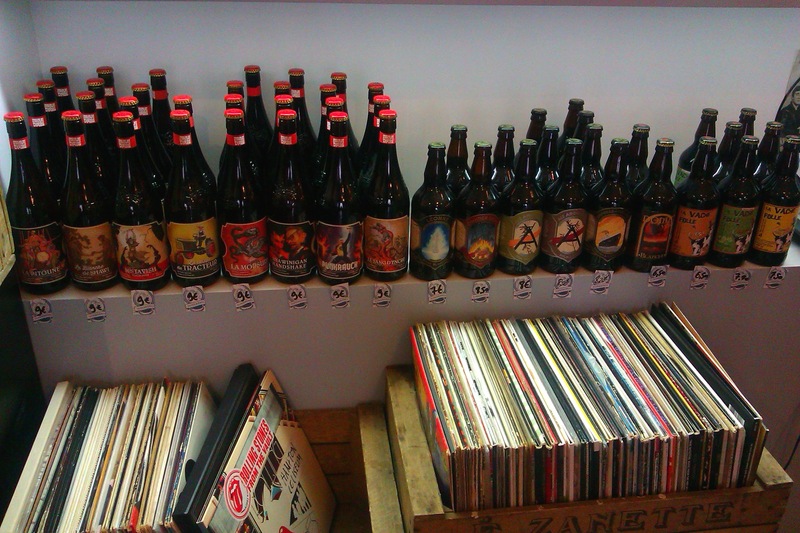 Our selection of the best places to buy craft beer in Paris.